Las Palmas Poster by David Thornell. All posters at Wallstars are exclusively made and are always in a limited edition. We print only on top of the line photo paper with a very long lifetime. We know that you will be satisfied with your wall art from us. The frame is not included. Liverpool LFC Poster. Design by David Thornell. All posters at Wallstars are exclusively made and are always in a limited edition. We print only on top of the line photo paper with a very long lifetime. We know that you will be satisfied with your wall art from us. The frame is not included. Täby Map Poster by David Thornell. All posters at Wallstars are exclusively made and are always in a limited edition. We print only on top of the line photo paper with a very long lifetime. We know that you will be satisfied with your wall art from us. The frame is not included. Täby Poster by David Thornell. All posters at Wallstars are exclusively made and are always in a limited edition. We print only on top of the line photo paper with a very long lifetime. We know that you will be satisfied with your wall art from us. The frame is not included. Irländsk Terrier Poster by David Thornell. All posters at Wallstars are exclusively made and are always in a limited edition. We print only on top of the line photo paper with a very long lifetime. We know that you will be satisfied with your wall art from us. The frame is not included. Dalarna Poster. Design by David Thornell. All posters at Wallstars are exclusively made and are always in a limited edition. We print only on top of the line photo paper with a very long lifetime. We know that you will be satisfied with your wall art from us. The frame is not included. Torrevieja Urban Poster. Design by David Thornell. All posters at Wallstars are exclusively made and are always in a limited edition. We print only on top of the line photo paper with a very long lifetime. We know that you will be satisfied with your wall art from us. The frame is not included. Viborg Heart Poster. Design by David Thornell. All posters at Wallstars are exclusively made and are always in a limited edition. We print only on top of the line photo paper with a very long lifetime. We know that you will be satisfied with your wall art from us. The frame is not included. Team Manchester United Poster. Design by David Thornell. All posters at Wallstars are exclusively made and are always in a limited edition. We print only on top of the line photo paper with a very long lifetime. We know that you will be satisfied with your wall art from us. The frame is not included. Man United Flag Poster. Design by David Thornell. All posters at Wallstars are exclusively made and are always in a limited edition. We print only on top of the line photo paper with a very long lifetime. We know that you will be satisfied with your wall art from us. The frame is not included. Manchester United Poster. Design by David Thornell. All posters at Wallstars are exclusively made and are always in a limited edition. We print only on top of the line photo paper with a very long lifetime. We know that you will be satisfied with your wall art from us. The frame is not included. Olofström Poster. Design by David Thornell. All posters at Wallstars are exclusively made and are always in a limited edition. We print only on top of the line photo paper with a very long lifetime. We know that you will be satisfied with your wall art from us. The frame is not included. Örebro Poster. Design by David Thornell. All posters at Wallstars are exclusively made and are always in a limited edition. We print only on top of the line photo paper with a very long lifetime. We know that you will be satisfied with your wall art from us. The frame is not included. Thailand Map Poster. Design by David Thornell. All posters at Wallstars are exclusively made and are always in a limited edition. We print only on top of the line photo paper with a very long lifetime. We know that you will be satisfied with your wall art from us. The frame is not included. Från Björneborg Poster. Design by David Thornell. All posters at Wallstars are exclusively made and are always in a limited edition. We print only on top of the line photo paper with a very long lifetime. We know that you will be satisfied with your wall art from us. The frame is not included. Osele Heart Posterr by David Thornell. All posters at Wallstars are exclusively made and are always in a limited edition. We print only on top of the line photo paper with a very long lifetime. We know that you will be satisfied with your wall art from us. The frame is not included. Österreich Poster by David Thornell. All posters at Wallstars are exclusively made and are always in a limited edition. We print only on top of the line photo paper with a very long lifetime. We know that you will be satisfied with your wall art from us. The frame is not included. House Rules Poster. Design by David Thornell. All posters at Wallstars are exclusively made and are always in a limited edition. We print only on top of the line photo paper with a very long lifetime. We know that you will be satisfied with your wall art from us. The frame is not included. 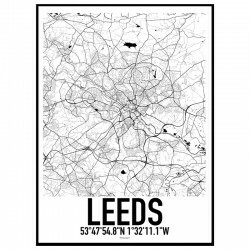 Leeds Map Poster. Design by David Thornell. All posters at Wallstars are exclusively made and are always in a limited edition. We print only on top of the line photo paper with a very long lifetime. We know that you will be satisfied with your wall art from us. The frame is not included. 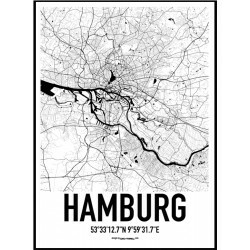 Hamburg Germany Poster. Design by David Thornell. All posters at Wallstars are exclusively made and are always in a limited edition. We print only on top of the line photo paper with a very long lifetime. We know that you will be satisfied with your wall art from us. The frame is not included. Colorado Springs Heart Poster. Design by David Thornell. All posters at Wallstars are exclusively made and are always in a limited edition. We print only on top of the line photo paper with a very long lifetime. We know that you will be satisfied with your wall art from us. The frame is not included. Från Odakra Poster. Design by David Thornell. All posters at Wallstars are exclusively made and are always in a limited edition. We print only on top of the line photo paper with a very long lifetime. We know that you will be satisfied with your wall art from us. The frame is not included. Poland Poster. Design by David Thornell. All posters at Wallstars are exclusively made and are always in a limited edition. We print only on top of the line photo paper with a very long lifetime. We know that you will be satisfied with your wall art from us. The frame is not included. 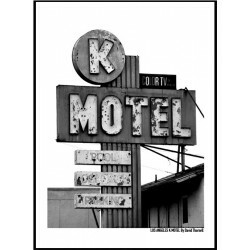 K Motel Poster. Design by David Thornell. All posters at Wallstars are exclusively made and are always in a limited edition. We print only on top of the line photo paper with a very long lifetime. We know that you will be satisfied with your wall art from us. The frame is not included. 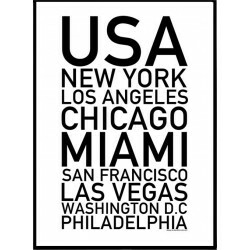 USA Cities Poster. Design by David Thornell. All posters at Wallstars are exclusively made and are always in a limited edition. We print only on top of the line photo paper with a very long lifetime. We know that you will be satisfied with your wall art from us. The frame is not included. 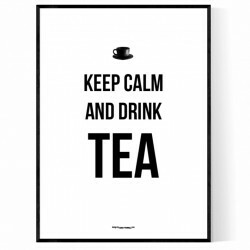 Drink Tea Poster by David Thornell. All posters at Wallstars are exclusively made and are always in a limited edition. We print only on top of the line photo paper with a very long lifetime. We know that you will be satisfied with your wall art from us. The frame is not included. Fra Lillesand. Design by David Thornell. All posters at Wallstars are exclusively made and are always in a limited edition. We print only on top of the line photo paper with a very long lifetime. We know that you will be satisfied with your wall art from us. The frame is not included. 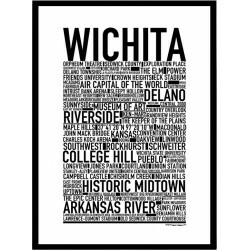 Wichita Poster. Design by David Thornell. All posters at Wallstars are exclusively made and are always in a limited edition. We print only on top of the line photo paper with a very long lifetime. We know that you will be satisfied with your wall art from us. The frame is not included. 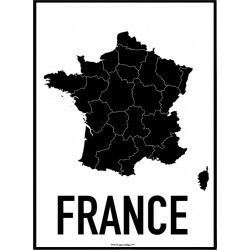 France Map Poster. Design by David Thornell. All posters at Wallstars are exclusively made and are always in a limited edition. We print only on top of the line photo paper with a very long lifetime. We know that you will be satisfied with your wall art from us. The frame is not included. 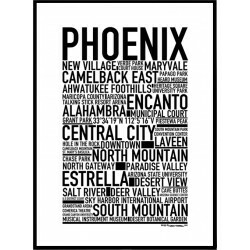 Phoenix Poster. Design by David Thornell. All posters at Wallstars are exclusively made and are always in a limited edition. We print only on top of the line photo paper with a very long lifetime. We know that you will be satisfied with your wall art from us. The frame is not included. Fra Leirvik. Design by David Thornell. All posters at Wallstars are exclusively made and are always in a limited edition. We print only on top of the line photo paper with a very long lifetime. We know that you will be satisfied with your wall art from us. The frame is not included. 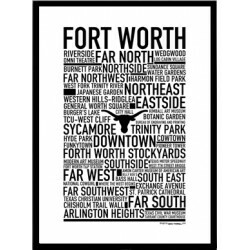 Fort Worth Poster. Design by David Thornell. All posters at Wallstars are exclusively made and are always in a limited edition. We print only on top of the line photo paper with a very long lifetime. We know that you will be satisfied with your wall art from us. The frame is not included. 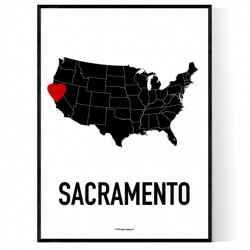 Sacramento Heart Poster. Design by David Thornell. All posters at Wallstars are exclusively made and are always in a limited edition. We print only on top of the line photo paper with a very long lifetime. We know that you will be satisfied with your wall art from us. The frame is not included. Napa Poster. Design by David Thornell. All posters at Wallstars are exclusively made and are always in a limited edition. We print only on top of the line photo paper with a very long lifetime. We know that you will be satisfied with your wall art from us. The frame is not included. 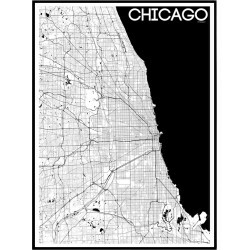 Map Chicago Poster. Design by David Thornell. All posters at Wallstars are exclusively made and are always in a limited edition. We print only on top of the line photo paper with a very long lifetime. We know that you will be satisfied with your wall art from us. The frame is not included. 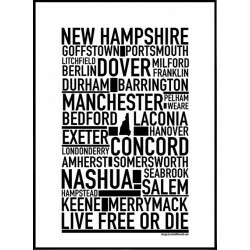 New Hampshire Poster. Design by David Thornell. All posters at Wallstars are exclusively made and are always in a limited edition. We print only on top of the line photo paper with a very long lifetime. We know that you will be satisfied with your wall art from us. The frame is not included. 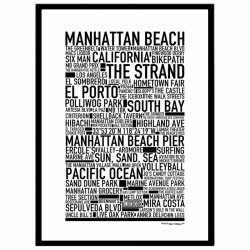 Manhattan Beach Poster. Design by David Thornell. All posters at Wallstars are exclusively made and are always in a limited edition. We print only on top of the line photo paper with a very long lifetime. We know that you will be satisfied with your wall art from us. The frame is not included. 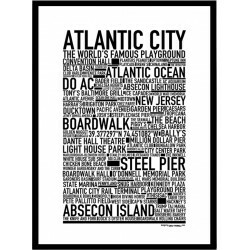 Atlantic City Poster. Design by David Thornell. All posters at Wallstars are exclusively made and are always in a limited edition. We print only on top of the line photo paper with a very long lifetime. We know that you will be satisfied with your wall art from us. The frame is not included. 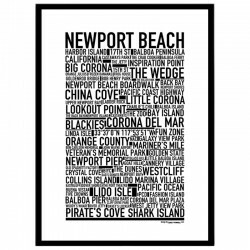 Newport Beach Poster. Design by David Thornell. All posters at Wallstars are exclusively made and are always in a limited edition. We print only on top of the line photo paper with a very long lifetime. We know that you will be satisfied with your wall art from us. The frame is not included. Altoona PA Poster. Design by David Thornell. All posters at Wallstars are exclusively made and are always in a limited edition. We print only on top of the line photo paper with a very long lifetime. We know that you will be satisfied with your wall art from us. The frame is not included. Syracuse NY Poster by David Thornell. All posters at Wallstars are exclusively made and are always in a limited edition. We print only on top of the line photo paper with a very long lifetime. We know that you will be satisfied with your wall art from us. The frame is not included. 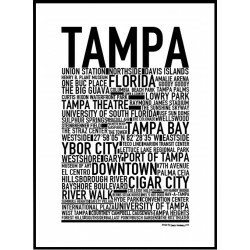 Tampa Poster. Design by David Thornell. All posters at Wallstars are exclusively made and are always in a limited edition. We print only on top of the line photo paper with a very long lifetime. We know that you will be satisfied with your wall art from us. The frame is not included. 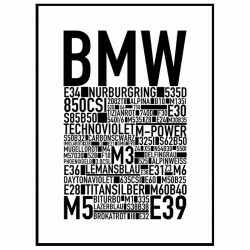 BMW Poster. Design by David Thornell. All posters at Wallstars are exclusively made and are always in a limited edition. We print only on top of the line photo paper with a very long lifetime. We know that you will be satisfied with your wall art from us. The frame is not included. 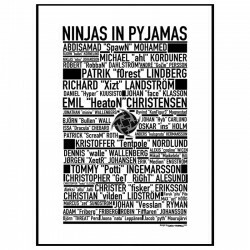 NiP Legends Poster. Design by David Thornell. All posters at Wallstars are exclusively made and are always in a limited edition. We print only on top of the line photo paper with a very long lifetime. We know that you will be satisfied with your wall art from us. The frame is not included. 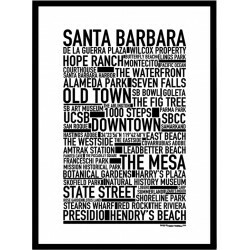 Santa Barbara Poster. Design by David Thornell. All posters at Wallstars are exclusively made and are always in a limited edition. We print only on top of the line photo paper with a very long lifetime. We know that you will be satisfied with your wall art from us. The frame is not included. Málaga Poster Poster. Design by David Thornell. All posters at Wallstars are exclusively made and are always in a limited edition. We print only on top of the line photo paper with a very long lifetime. We know that you will be satisfied with your wall art from us. The frame is not included. 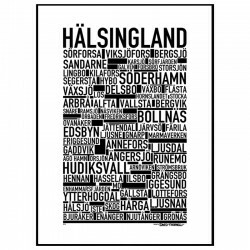 Hälsingland Poster. Design by David Thornell. All posters at Wallstars are exclusively made and are always in a limited edition. We print only on top of the line photo paper with a very long lifetime. We know that you will be satisfied with your wall art from us. The frame is not included. Los Angeles Poster. Design by David Thornell. All posters at Wallstars are exclusively made and are always in a limited edition. We print only on top of the line photo paper with a very long lifetime. We know that you will be satisfied with your wall art from us. The frame is not included. 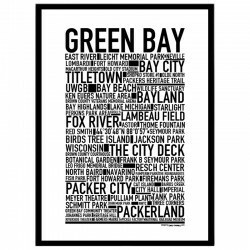 Green Bay Poster. Design by David Thornell. All posters at Wallstars are exclusively made and are always in a limited edition. We print only on top of the line photo paper with a very long lifetime. We know that you will be satisfied with your wall art from us. The frame is not included. 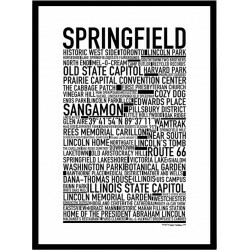 Springfield IL Poster. Design by David Thornell. All posters at Wallstars are exclusively made and are always in a limited edition. We print only on top of the line photo paper with a very long lifetime. We know that you will be satisfied with your wall art from us. The frame is not included. 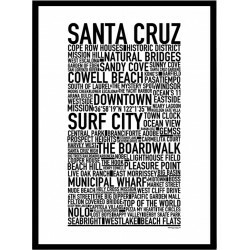 Santa Cruz Poster. Design by David Thornell. All posters at Wallstars are exclusively made and are always in a limited edition. We print only on top of the line photo paper with a very long lifetime. We know that you will be satisfied with your wall art from us. The frame is not included. As a customer at Wallstars we will offer you a large number of exclusive photos to choose from. Our photos are exclusively made for Wallstars and are not available in other stores. You will get your dream posters from our large archive of high quality posters. We ship all orders in 24 hours and will be at your location in just a few days. kitchen or for just the environment you are looking for. - 100% pleased with your order. - Exclusive photo prints with a long warranty. Find your posters at Wallstars Online. Black & white, photography, posters with text and quotes. Wallstars is a Swedish based company with a long experience in photo art and posters online. We offer you as a customer at Wallstars a large amount of exclusive poster prints to very reasonable prices. Our posters are only available at Wallstars and are not available in other stores. It's here you will find your favorite posters with text, quotes, or that photo you always wanted on your wall. All posters are chosen very thourougly from out pros at Wallstars. We work with the best products the world has to offer and we ship everything with UPS so your posters will get to your place fast and safe. We will ship your order the same day as you place it and you can track it on UPS all the way to your door. Wallstars has a large selection of exclusive and unique photos. We offer the hottest cities such as New York, Paris, Los Angeles, London, Miami, Stockholm, Copenhagen, Barcelona. 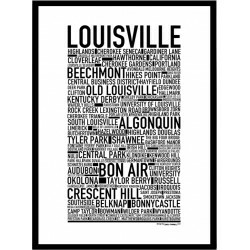 We have a huge archive of exclusive posters from all over the United States with cities like Chicago, San Francisco, Las Vegas, New Orleans, Seattle, Boston, Washington, D.C., Philadelphia, Memphis, Nashville, Pittsburgh, Detroit and many more cool cities. Also all the 50 states made like the classic city poster with only text. 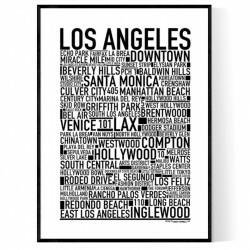 Find your favorite states in black and white and combine it with a great photo poster and make a great looking wall in your home or some other enviroment that needs a refresher. All posters at Wallstars are exclusively made and are always in a limited edition. Our photographer David Thornell has traveled around the US and photographed exclusively for Wallstars. With over 500 000 photos taken we will sell the best of them here. We have a great collection of Animals and Nature posters as well. And take a look at our Subject category. There can you find some really hot specials. We have posters for everybody. If not for yourself. It’s a perfect gift. 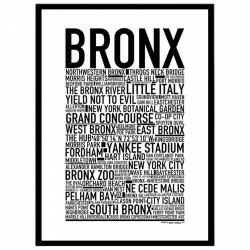 Shop posters online. We have it all! Shop posters online is both fun and easy. Sit down, relax and browse all the great categories and find just the stuff you like. 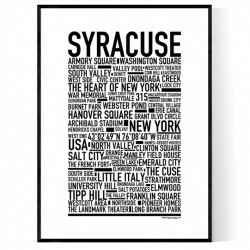 Take the time you’ll need to find the perfect wall art for your living room, bedroom, kitchen, garage, office or whatever environment that needs a remake. We have a large collection with both colorful and black & white posters. And the quality is always the best in the business. All continental 48 states are well documented and you will find a lot of it here at Wallstars from our photographer David Thornell. Buy classic, epic, exclusive posters here for great prices. Safe payments with Bambora and fast shipping with UPS. Track your posters right after you made your order at Wallstars. Shop safe with Bambora checkout and fast shipping with UPS! It’s safe to shop online at Wallstars. We are working with Bambora checkout and you can pay with Visa and Mastercard. We ship all orders the same day and you will be able to track it down with UPS so you can follow it from it leaves our warehouse and all the way to your house. Fast shipping so you will have your order in just a few days! We are totally sure that you will be a 100% satisfied with your shopping at Wallstars.